Tonight saw the seventh Amateur Radio Skills Night put on by the Chelmsford Amateur Radio Society, at the Village Hall in Danbury. 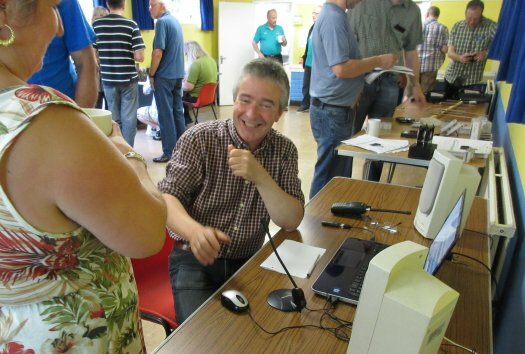 The club’s June Skills Night hit nearly 50 people attending, and with the humid weather and recent floods, we expected a dip in numbers – but the event pulled in a record-breaking 55 people turning out to try something new, get some help and advice, and catch up with friends. Great to see so many few faces, as well as those who’ve supported Skills from the start. 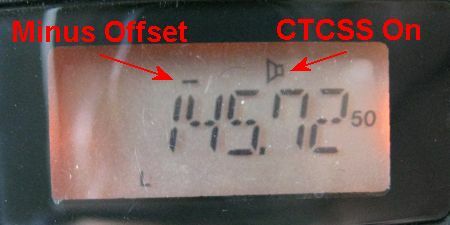 Peter G0DZB was first off the block with a request to put on a practical for this month – tuning a random length of wire. Anyone who stepped out the back couldn’t fail to be impressed the the length and randomness of the wire – and lots of people were crowding around Peter’s table for most of the night finding out how to make the most from a piece of wire. 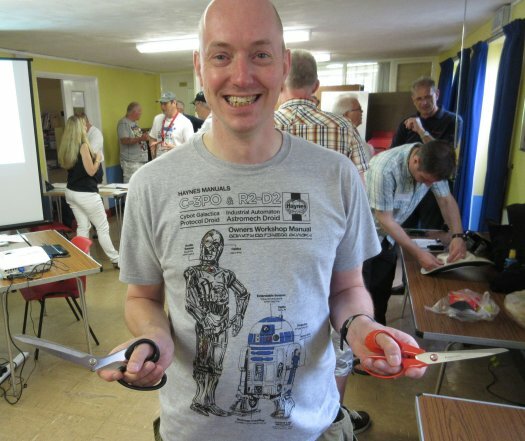 As ever Carl G3PEM was on hand giving out valuable HF advice – the theme being dipoles, but Carl’s box of tricks and antenna modelling software was pressed into service to problem-solve antenna issues and help those looking to get the most from HF in the domestic environment. 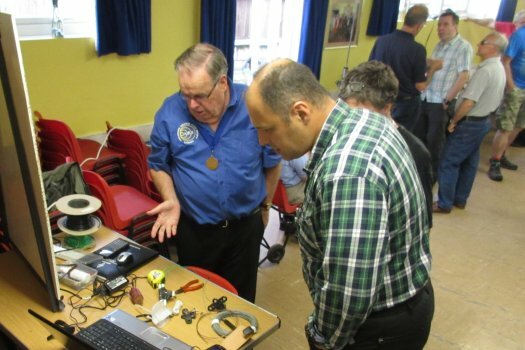 Many thanks to Rob M0KCP for bringing along his /P backpack portable kit and his new tiny CW key – lots of interest in /P – Thanks also to Steve, Oliver and other Essex CW Club members for being on hand to spread the CW word. Another very busy table was Steve’s satellite station. The warm weather and a perfectly-timed Fun Cube 1 satellite pass meant that many popped out to watch Steve fish for signals – achievable despite the fact that the pass was very low on the horizon. 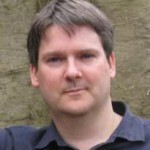 This has been in the to-do list for a little while now, and Pete M0PSX provided a demo of both the Realtek RTL2832 SDR dongle (£10 from Amazon – details here) and what’s achievable with a WebSDR (www.websdr.org). 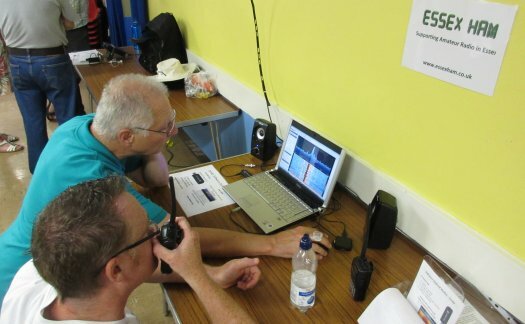 Thanks to Terry G3VFC (one of the four-man team from the Medway club) for stepping in and helping out with the software defined radio demos. 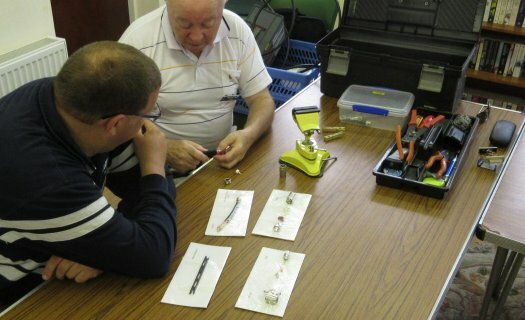 Thanks again to Peter M0PSD, Dave M0HBV and Chris G0IPU for manning the Construction workshop in the Hawkins room – leads, repairs, advice and morale support for constructors, kit-builders and those new to the world of soldering. Display of StarTech.com catalogue and goodies. 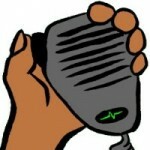 For those wanting to make amateur radio contacts around the without expensive hardware… there’s Echolink, and thanks to Jim 2E0RMI for returning with his RF and Internet versions of Echolink connectivity. 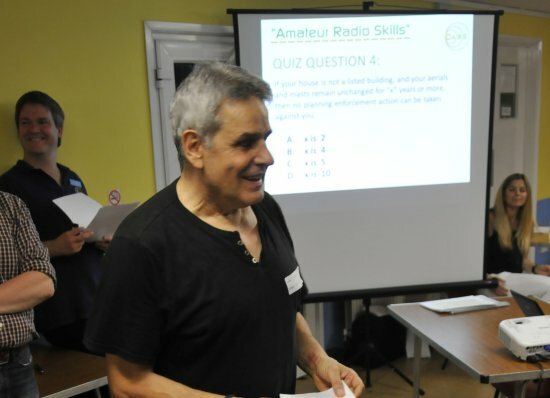 Despite losing his voice earlier today, Clive was in fine form with the Quiz – this time with questions provided by Geoff G3EDM – Got some questions for next month? Get in touch! Those listening to last week’s Monday Night Net will note that the subject of left-handed scissors came up – Thanks to Bruce M0XBS for bringing some in. 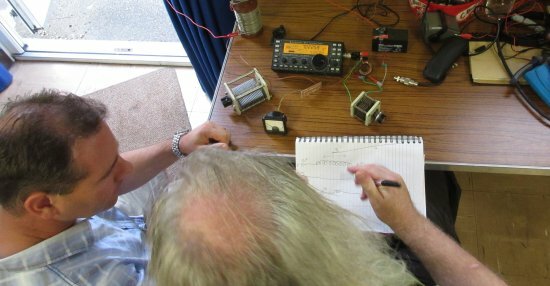 On the same net, we welcomed Dave M6ILM to the world of amateur radio, and Dave, the man himself, made an appearance, as did Jim 2E0JTW attending with his 2E0 callsign for the first time. Well done chaps. 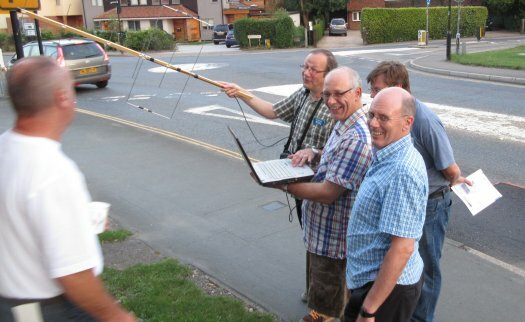 For the first time, free wi-fi was available, courtesy of the new Essex Ham Wi-fi Hotspot! Another great night… thanks to everyone for the continued support. Special thanks to Myra, David and Sarah for ‘logistics’, and to Ann (Mrs RMI) for the cakes… yum! Thanks too to all exhibitors, the CARS Training Team, and to everyone who brought something along or helped make the night a success. Next one – Monday 18th of August. As always, suggestions for topics, demos and repeat performances are appreciated. It will not be the last time I come..